The K&N E-4495 fits some Thermo King MD100, Thermo King MD200, Thermo King MD300, Thermo King RD.II SR, Thermo King RDMT, Thermo King Spectrum TS500, Thermo King TD.II, Thermo King TS200, Thermo King TS300, Thermo King TS500, Thermo King TS600, Thermo King UT1200X, and Thermo King XDS SR models. See vehicle applications for details. The K&N E-4495 is a direct replacement oiled cotton gauze air filter, intended for use on some Thermo King models. It’s an excellent option to help your refrigeration unit keep your trucks cool. K&N air filters provide high air flow and excellent filtration. This air filter allows your engine to breathe more efficiently by reducing restriction. Superior engine protection gives you peace of mind. 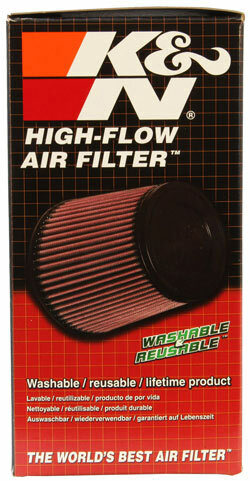 K&N air filters are washable and reusable. With proper maintenance, K&N air filters can protect your equipment for years, sometimes for even longer than the engine’s lifetime.